Tickets for the world premiere are available here. 2019; feature film; documentary; directed by Shane Chaney. 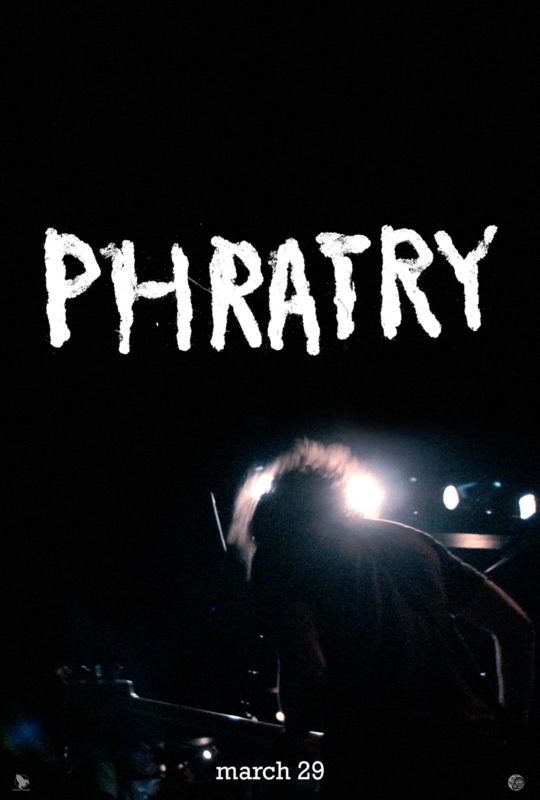 An in-depth look at independent label Phratry Records, whose eclectic roster and staff create uncompromising art on a shoestring. Featuring performances and interviews TBA. Photographed and edited by Shane Chaney. Produced by Shane Chaney and Jerry Dirr. Theatrical premiere March 29, 2019. Parents guide: OK for most teens. Contains occasional strong language.